An emotional distancing. A cessation of communication. A cold war. Family estrangement can be defined in many ways. Because it is so prevalent and so hard to talk about, some have labeled it a silent epidemic. But because it is seldom talked about, it is often misunderstood. An estrangement need not be permanent, long-lasting or even mean a total lack of contact. A recent British survey defines it as "the breakdown of a supportive relationship between family members," and that definition captures the heartbreak of family estrangement: Those who are supposed to support you, don't. Those who should be on your side, aren't. Parents who lose contact with adult children suffer, of course. But when their children have children, they also lose contact with grandchildren, and that means a double heartbreak. Participants included parents estranged from their children and children estranged from their parents, casting light on generational estrangement from two different perspectives. The report also addresses sibling estrangement, but that is a topic less relevant to grandparents. The group participating was about half British, with the remainder coming from the United States and other countries. The group was well diversified In indicators such as age, marital status, religious affiliation and level of education. The respondents were, however, 89% female and 88% white. More respondents reported being estranged from mothers than from fathers or from both parents. More parents reported being estranged from daughters than from sons. Interestingly, however, estrangement from males tended to be longer lasting than estrangement from females. Estrangement from fathers averaged 7.9 years, whereas estrangement from mothers averaged 5.5 years. Parents reported estrangements from sons lasting an average of 5.2 years, versus 3.8 years for daughters. Relationship breakdowns were more likely to be intermittent with female relatives than with male relatives. When participants were asked about relationships in which they cycled in and out of estrangement, only 29% of those reporting on relationships with mothers said there had been no cycles, meaning an unbroken history of estrangement, while 21% reported five or more cycles. For those reporting on relationships with fathers, 36% reported no cycles, and only 16% said there had been five or more cycles. A similar pattern was observed with daughters and sons. Among those reporting estrangement from daughters, 37% reported no cycling in and out of the relationship. On the other extreme, 20% reported five or more cycles. Among those reporting estrangement from sons, 41% reported no cycles, and only 11% reported five or more cycles. These findings are consistent with research about woman-to-woman conflict. In a conflict, males tend to employ a "fight or flight" strategy, and family conflict often results in the "flight" option, meaning that males often withdraw from the conflict. Because the male refuses to engage, the estrangement tends to be long-lasting and intractable. Women under pressure, on the other hand, tend to have a "tend and befriend" pattern. They deal with stress by seeking closeness with others. So if they forsake a relationship with a relative, they may feel a lot of pressure to re-establish the relationship. 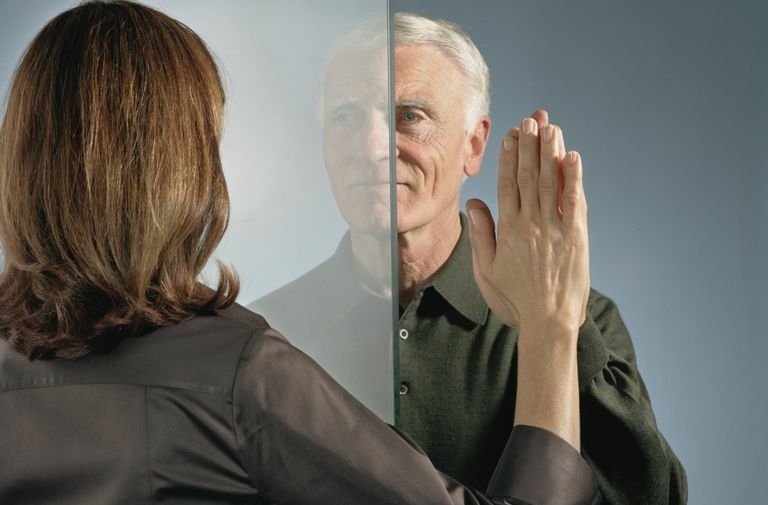 Why do relationships between adult children and their parents break down? It depends on which group you ask. In the British report, those estranged from their parents reported four issues that affected their relationships with both mothers and fathers: emotional abuse, differing expectations about family roles, clashes based on personalities or value systems, and neglect. Those estranged from their mothers also cited mental health problems, while those estranged from fathers cited a traumatic family event. Those estranged from their children cited three causes that were common to both sons and daughters: differing expectations about family roles, divorce-related issues, and a traumatic event. Those estranged from daughters also reported mental health problems and emotional abuse. Those estranged from sons reported issues relating to marriage and issues relating to in-laws. In one area of the survey, the older generation and the younger generation agree. That is the question of who cut off contact. The generations agree that members of the younger generation usually make the move. Over 50% of those estranged from a parent say that they cut off contact. Only 5-6% of those estranged from a son or daughter say that they made the move. Besides assigning responsibility for the breach, respondents could also choose "we cut contact with each other" or "I'm not sure." In another section of the survey, respondents were asked to respond to the statement, "We could never have a functional relationship again." Adult children estranged from parents overwhelmingly agreed with the statement. With regard to estrangement from mothers, 79% of those responding either agreed or strongly agreed. With regard to fathers, 71% agreed or strongly agreed. Parents estranged from their adult children presented quite a different picture. Those estranged from daughters agreed or strongly agreed only 14% of the time. Those estranged from sons agreed or strongly agreed 13% of the time. Why the Differences Between Generations? Why are adult children more likely to cut off contact and less open to reconciliation? The survey did not address this issue, but the answers may lie in the concept of family circles. Parents' bonds with their children are the strongest they will ever experience, with the possible exception of relationships with mates, and many times parental bonds prove to be stronger than attachments to partners or spouses. Children, on the other hand, do have strong bonds with parents, but in the natural pattern of things, they have children of their own, and their bonds with their children become the strongest they will ever experience. Children are always in their parents' primary circle. But when they have children of their own, their parents are relegated to a secondary circle. When a relationship between an adult child and a parent goes sour, the parent loses a primary relationship and the adult child loses a secondary one. So in a sense, the parent's loss is the greater. In addition, estrangement from adult children usually means a loss of contact with grandchildren as well. Alienation from grandchildren brings its own emotional toll. When questioned about what they wanted from their parents, adult children said they wanted relationships that were closer, more positive and more loving. In addition, they wished their mothers would be less critical and judgmental and that mothers would acknowledge when they have engaged in hurtful behavior. Adult children wished that their fathers would take more interest in their lives and also stand up to other family members, including their spouses or partners. When dealing with daughters, emotional issues are primary. Grandparents should try to provide emotional support, reduce drama and be less critical. When dealing with sons, relationships with other family members are primary. Grandparents should strive to get along with their son's wife or partner and also with their son's in-laws. Also, family estrangements need not be permanent. Even though adult children may say they are unwilling to renew a relationship, the statistics about cycling in and out of estrangement say that they are usually willing to give their parents another chance. It's up to estranged parents to make those chances count.